“Who even comes to your Open Day anyway?” asked my daughter in that withering tone that teenagers reserve largely for their parents. Of course I had neither the time nor the inclination to reply to what I am confident was a rhetorical question anyway. But as I cycled to work it did set me thinking about the diversity of invitees that I was looking forward to seeing that day – colleagues and fellow professionals I was excited to catch up with, supporters I was looking forward to sharing the academic years’ work with and students’ families and friends I was intrigued to meet. So, in reviewing the day, I thought I would shine the spotlight on just some of the visitors we were very pleased to welcome. 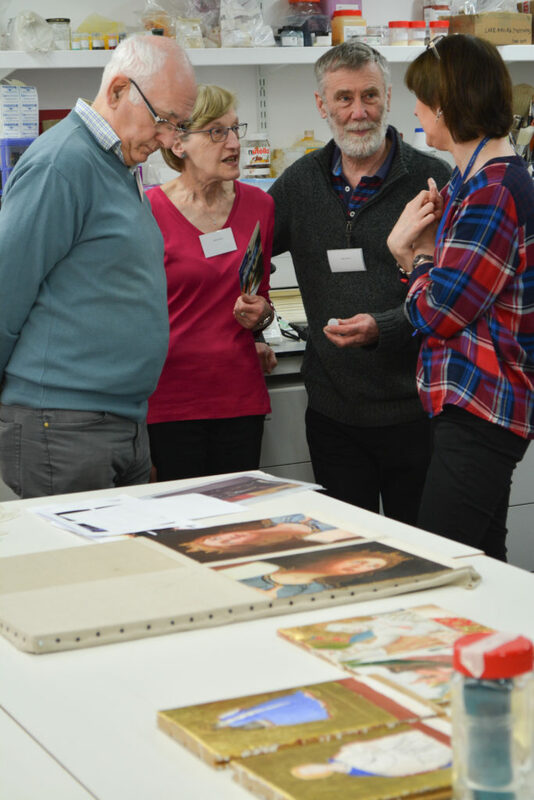 Probably our most loyal and longstanding Open Day attendees, Dawn and Simon Muirhead, have been involved with the Centre since its early days. Before retiring to Edinburgh Dawn and Simon worked at the British Museum and were great friends with Karen Finch and her family. 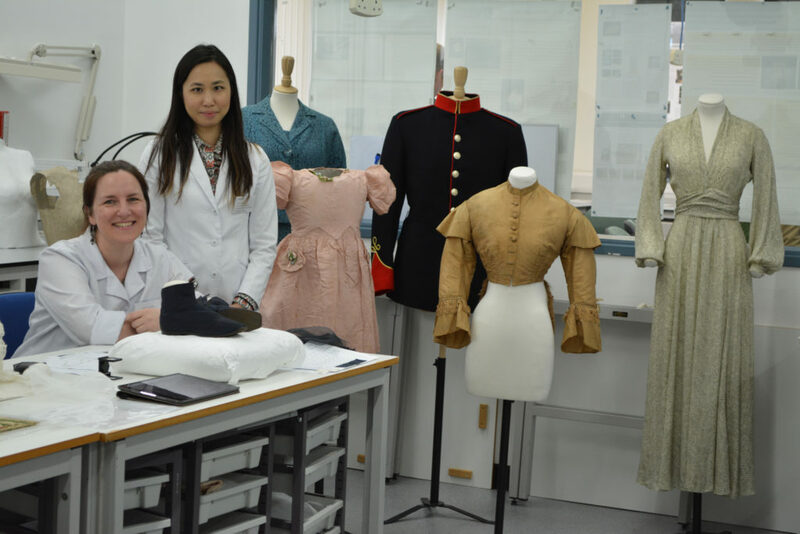 Dawn worked alongside Karen in the early days of textile conservation training at Hampton Court Palace and their interest and support for the work that goes on hasn’t waned at all over the years. Open Day simply wouldn’t be the same without them (and I am convinced they are the only people that read the blog too!). 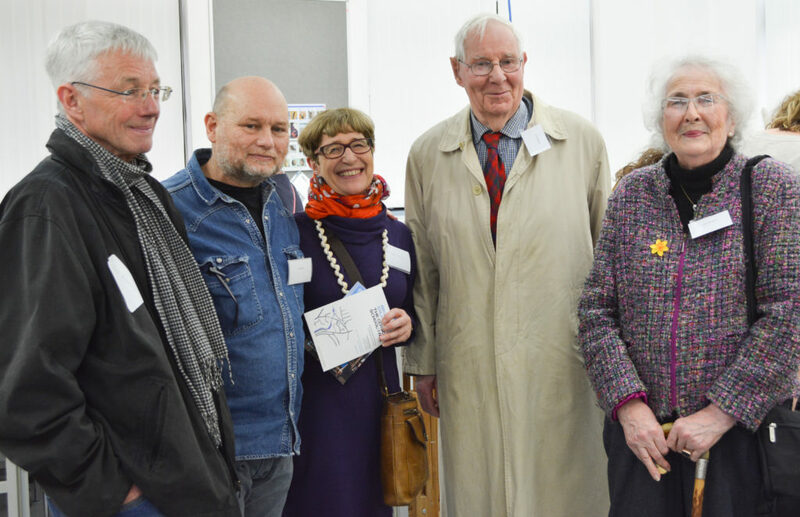 They are pictured here with Katrina Finch, Karen’s daughter, her husband Alan Cohen and their friend (also shown below) whose presence at Open Day always provides a much appreciated personal connection to Karen and an opportunity to demonstrate how we are continuing her legacy. 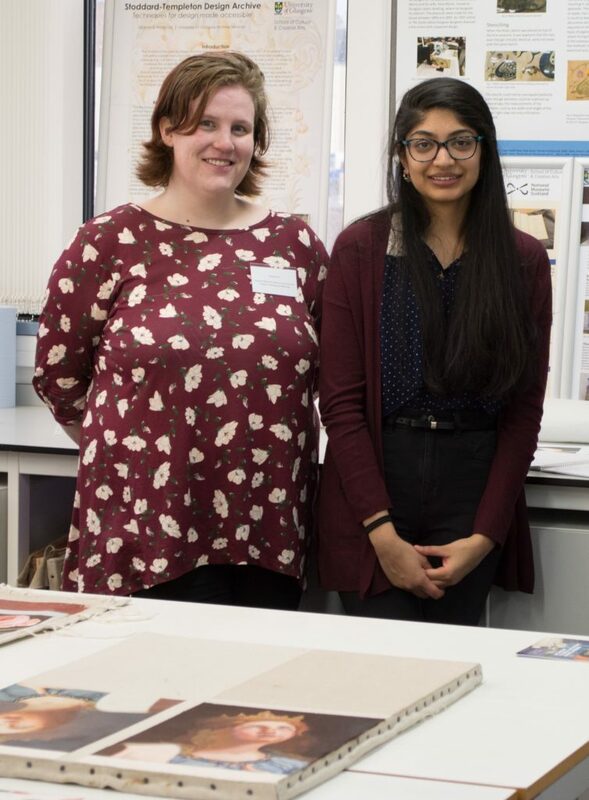 Open Day 2019 © University of Glasgow, 2019. 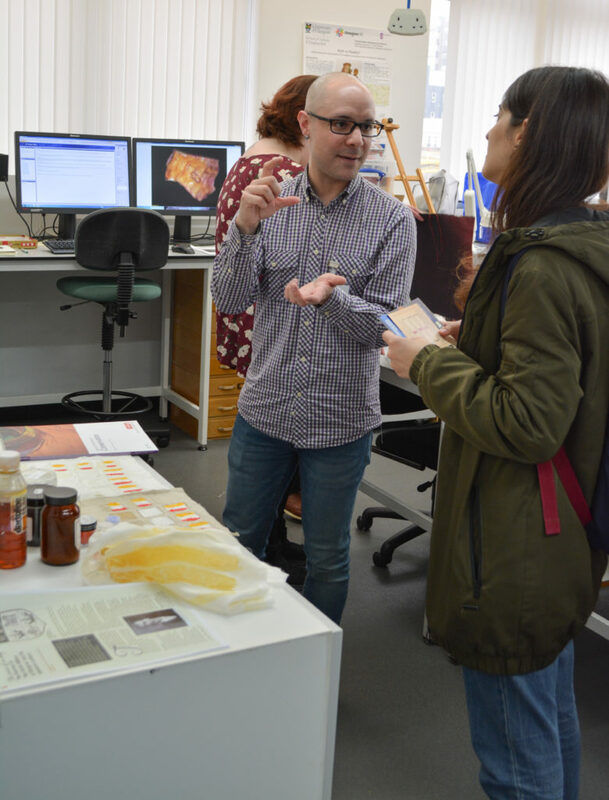 One of the strengths of the Centre is its collaborations and Open Day is a great opportunity to celebrate our interdisciplinary partnerships: to bring colleagues together, to share knowledge and often to hatch new plans! 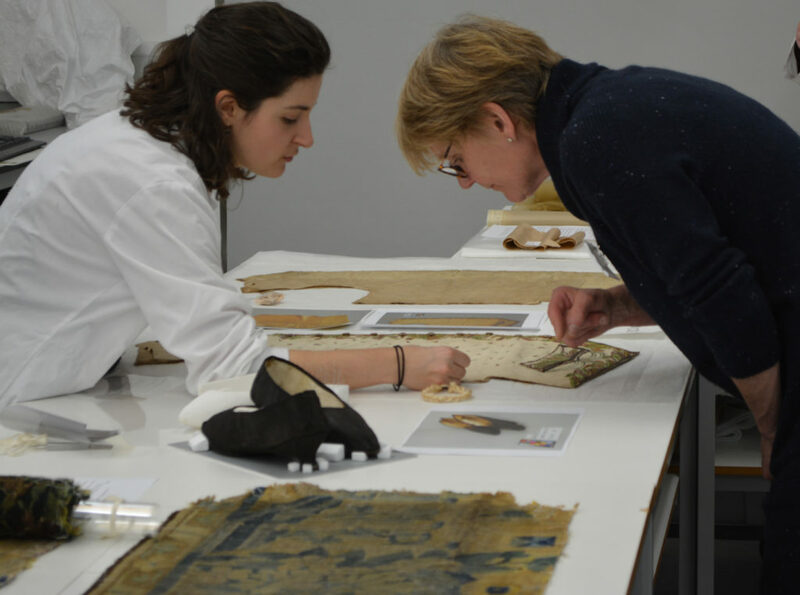 For the students it is always interesting to gain a different perspective on their work – be it curatorial, technical, analytical or from other conservators – and the object focused dialogues are often enlightening for both parties. 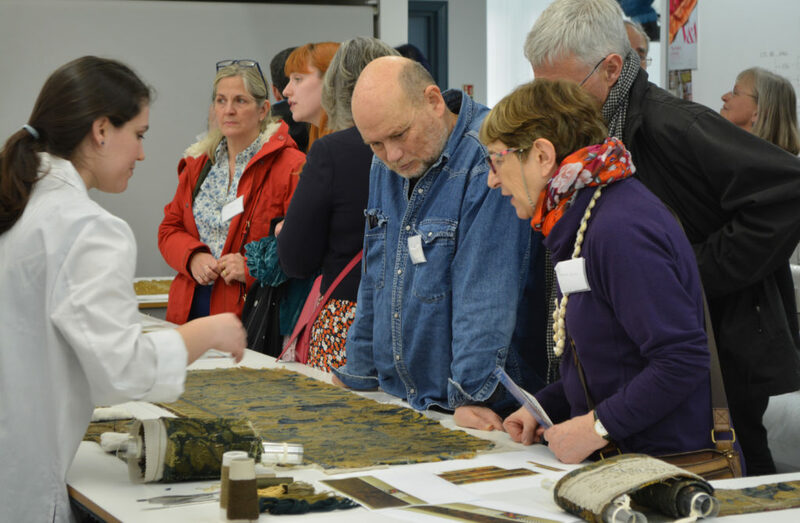 For staff the opportunity to share and discuss research, programme developments and teaching on the course is really stimulating. 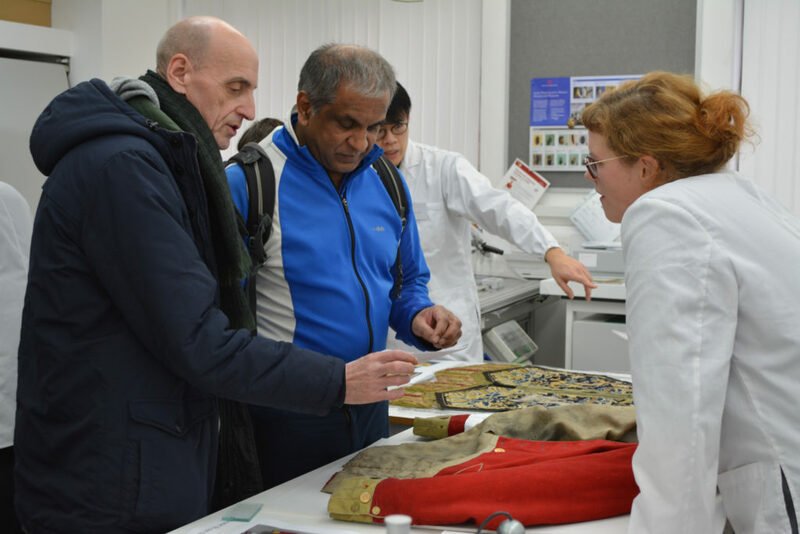 Here colleagues discuss technical art history and conservation science, the new Modern Material Artefact programme and the possibility of analysing residues on an 18th century military jacket for traces of gunpowder! 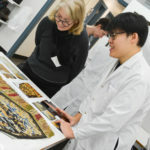 The support of funders, sponsors and The Textile Conservation Foundation (TCF) is absolutely vital to the work that goes on at the Centre, particularly in maintaining the highest standards of training in textile conservation, and it is always a pleasure to be able to show our appreciation on Open Day. 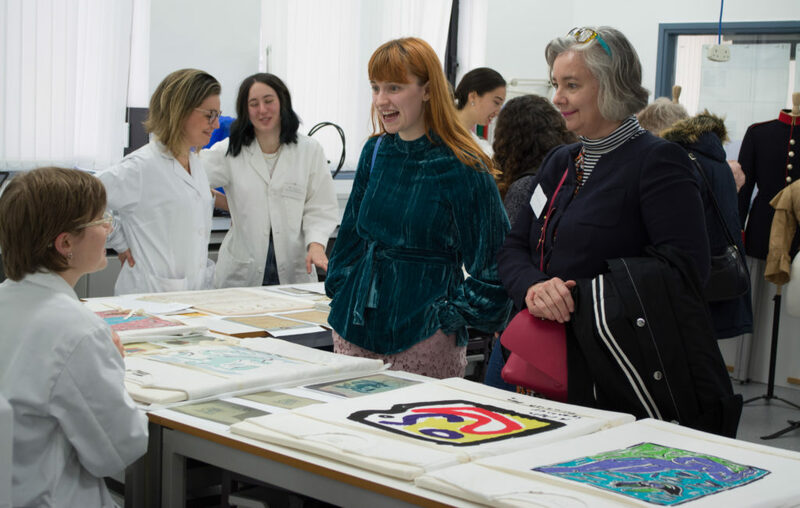 The trustees of the TCF in particular are untiring in their efforts on our behalf and we are always both delighted by and deeply grateful for their genuine and enduring interest on both personal and professional levels. 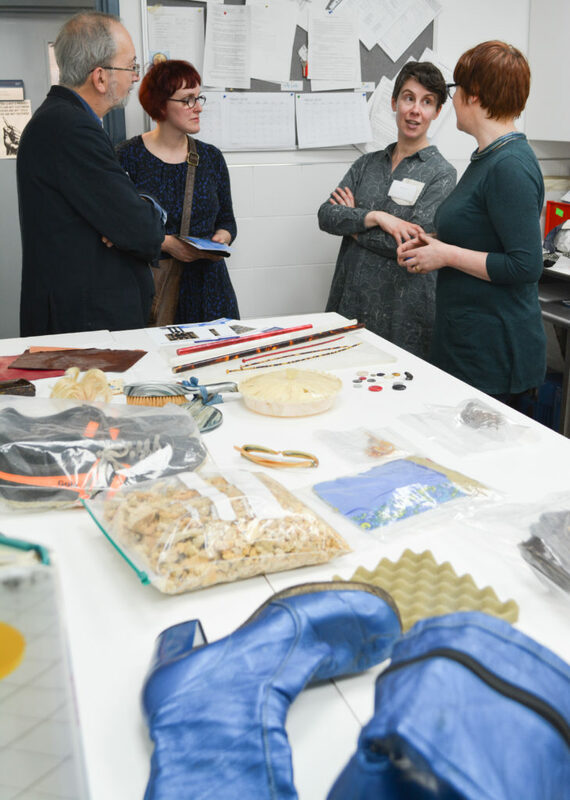 Here trustees get to know the students and their projects, quiz them about the bigger picture and appreciate the most intricate of details. And whilst considering groups of supporters, for many students the most important visitors on Open Day are, of course, their own personal champions: family and friends. 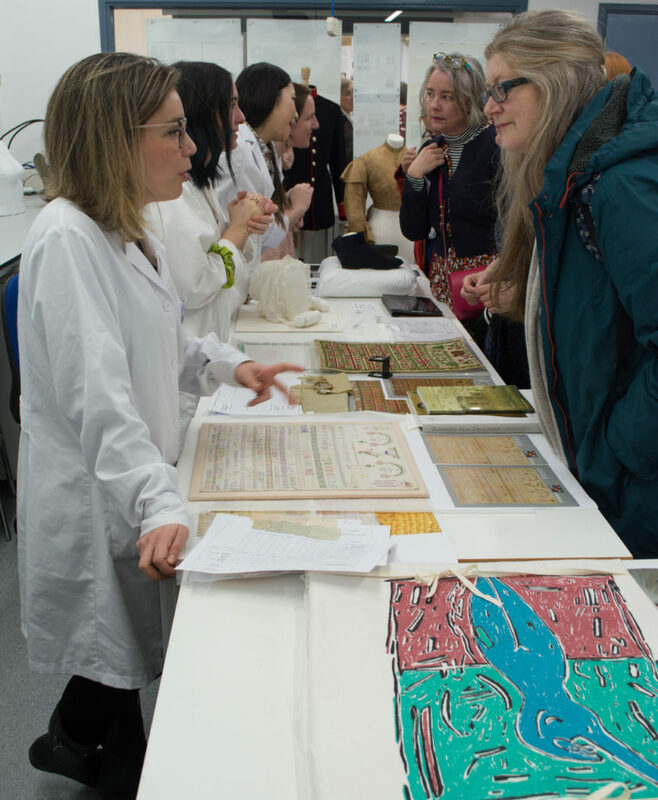 This is of course a very brief snapshot of the many and various visitors who contributed to the success of Open Day 2019. 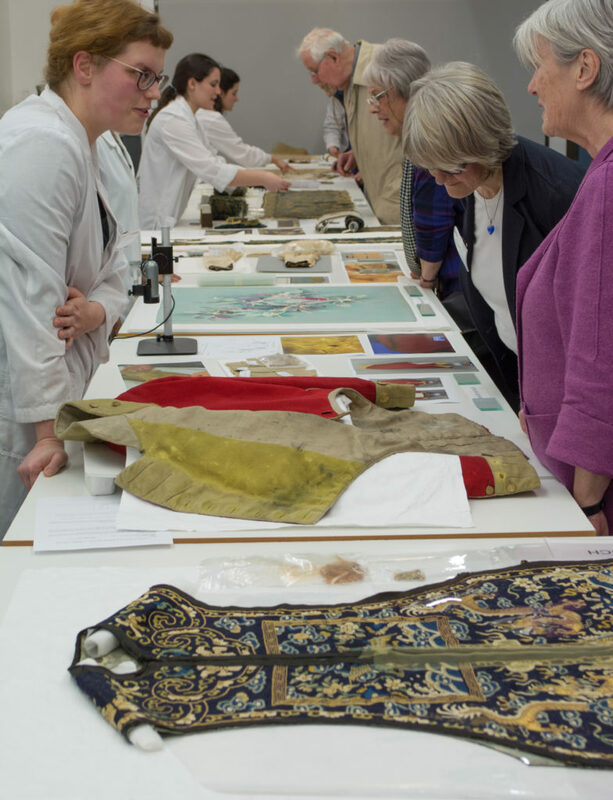 Thank you all for coming and thanks too to all the students and staff for such a stimulating and enjoyable day. Perhaps I’ll put my daughter on the invite list for next year…..